Spotify can use a lot of data from your phone plan if you’re not careful. Do you use a prepaid plan or SIM Only plan? If so, recent changes may entitle you to new services as part of your plan. In the news at the moment, the major phone companies are rolling out new partnerships with streaming music providers. Streamed music is another in the list of value added extras they’re providing as part of their content and entertainment strategies. It’s all about retention: Streaming music is another way for the Telcos to retain their existing subscribers, in a highly competitive market. Telstra has partnered with Apple Music, Optus with Spotify. But while increased streaming services are a win for subscribers, data usage will increase, benefiting the Telcos. It seems like every week, there is a new telco announcing a new partnership with a streaming music provider. These OTA services (Over the air) are nice to have features for most users. Streaming music on the go is great to listen to on the way to work, or when going for a run at the gym. Telstra and Optus offer streaming music services to their prepaid plan subscribers, but nothing is on offer from Vodafone who tried and gave up on the strategy 5 years ago. Why do telcos do it? Churn is an industry measure of the number of people who leave a phone company. Telcos can reduce churn by offering value added services to make the Telco brands more ‘sticky’. The more services which you can get from a company, the less likely you are to leave them for a competitor. With people these days using their smartphones and mobile data, the move is away from regular calls and texts. In this context it makes sense for the Telcos to push data usage services to their subscribers. 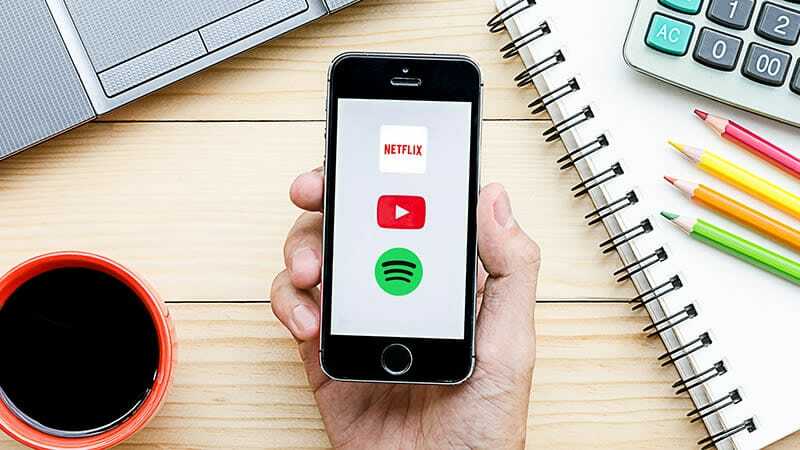 Services which are heavy on data usage, such as streaming music and streaming movies are a particular draw for users and therefore phone companies. By getting subscribers to stream music and media content on their devices, the Telcos are changing peoples habits. Where people used to sit in front of a TV for their media viewing, smartphone and data usage is becoming the norm. The carriers understand this change in viewing habits and by providing more streaming services, can increase data usage. Streaming music is music which you can download over the internet, using your cellular data. Streamed services can be used (listened to) from your smartphone or tablet device, from an online provider. 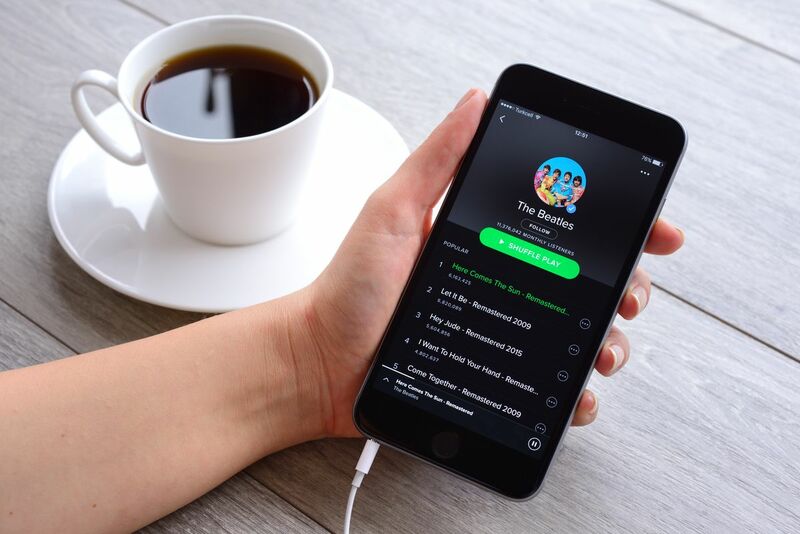 Spotify is one of the largest streaming music service providers and has signed a partnership with Optus. Telstra has in the past year started a new streaming service offer for all of their existing and new subscribers. Subscribers are able to use the music add-on to their current plan to take advantage of streaming music. Telstra has now partnered with Apple Music, quietly doing away with their now defunct Mog Service. Mog was Telstra’s original music streaming service for Telstra users and was launched back in 2012. Originally Telstra had planned to use streaming music as a way to entice more subscribers to their network. Unfortunately , he streaming music service resulted in a lack luster take up and failed to take off. Mog was owned by Beats Music, which Apple purchased recently and merged into their existing platform. The closure of Telstra’s Mog service, follows the failures of rivals Deezer and Songl. The closure follows rivals which both shut down last year amid consolidation in the competitive and crowded marketplace. While both Telstra and Vodafone have their respective offerings, Optus currently only provided streaming movie content. How do data allowances compare? Telstra, Vodafone Australia and Virgin Mobile all provide streaming music services. Now while the services might be free to use for a set period of time, data usage fees will still apply. This means that while the Telco is subsidizing your monthly streaming subscription fee, it will still cost you data. And this is where if users are not careful, it could end up costing them a lot of money in data usage fees. 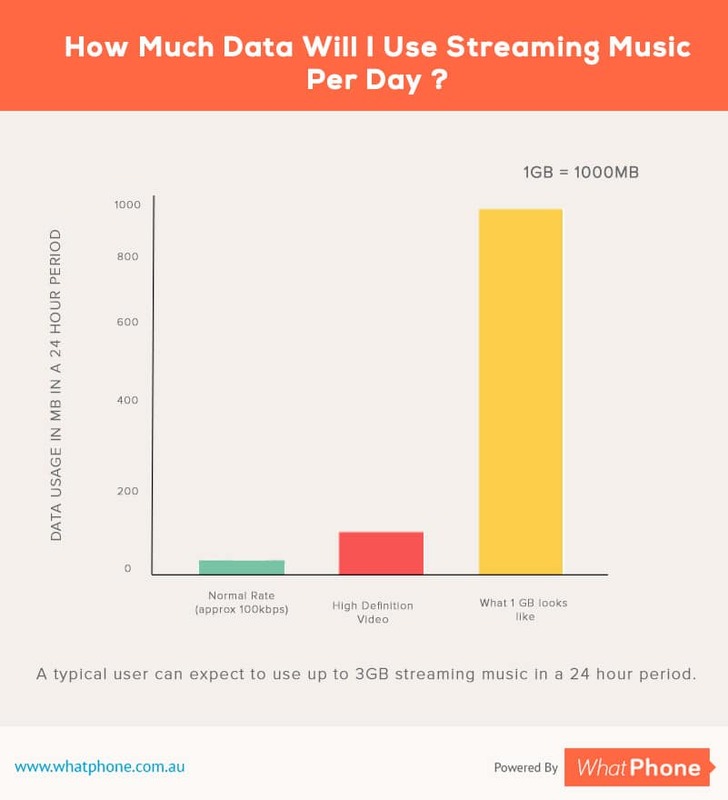 While most plans these days come with generous mobile data allowances, the average streamed song will use around 6MB. Virgin Mobile is providing all subscribers which use their streaming partner “Guvera”, a bonus 1GB of data per month. Streaming video uses a lot more data than Spotify – but streamed audio, used daily, adds up. In recent months Vodafone Australia is making leaps and bounds, when it comes to service and connectivity. It wasn’t long ago that Vodafone was known as Vodafail, but it would appear that those days are behind them. As Vodafone is a huge international company, it gives them an advantage in partnering with premium OTA services. In light of that, Virgin Mobile’s partnership with Guvera, has them giving subscribers a bonus 1GB of data per month. In every walk of life, companies are recognizing people’s need to interact with content on demand. The result is what is driving the continuous doubling of data and the increasing of competition in the market. For subscribers, while this will result in higher bills over time, it will also mean getting more services, when away from home. While there are an increasing number of ways of monitoring the data people use, mobile data use is increasing. The risk is that most people will treat mobile data in the same way they did credit cards. This will no doubt result in spiraling usage without basic consideration of the cost by users. Managing your data usage for most people is a boring task and not taking ownership in personal usage could see the pernicious growth in data become costly for some.